Ancien secteur commercial "The Rock"
Annonce commerciale du secteur de The Rock. 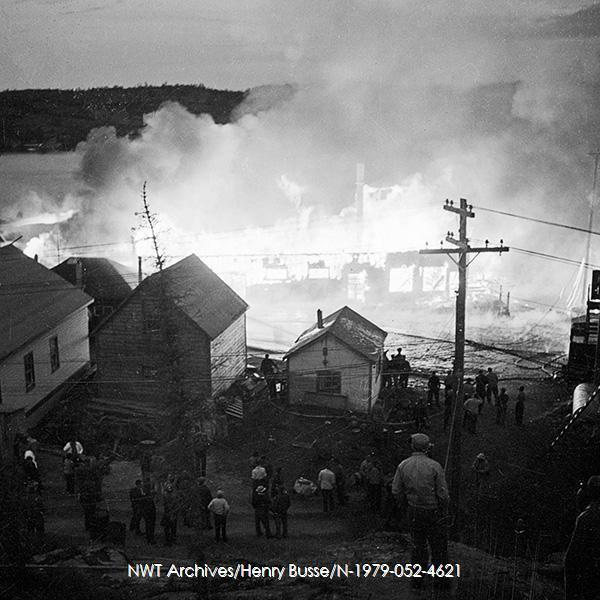 Photo précédente: NWT Archives/Yellowknife Museum Society fonds/N-1979-053-0137. 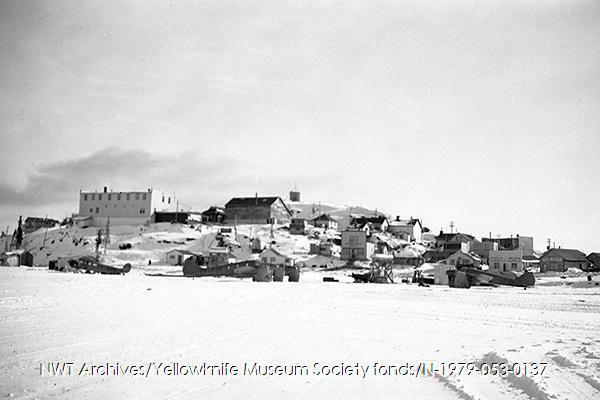 Photo actuelle: NWT Archives/Yellowknife Museum Society fonds/N-1979-052-4669. 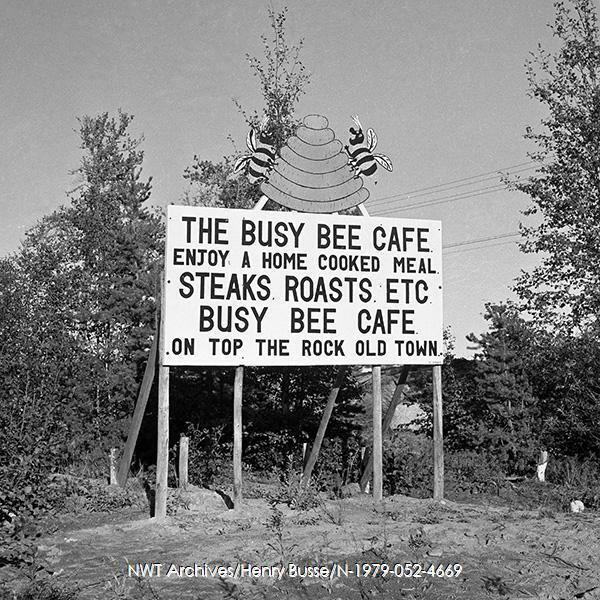 Source photo: NWT Archives/Henry Busse/N-1979-052-4621.